This is just the perfect little card to give with a fall gift. Fall gifting is fun – apples, pumpkins, cornstalks, cider, coffee, bakery. Yes, those are the items neighbors are sharing around here at this time of year. 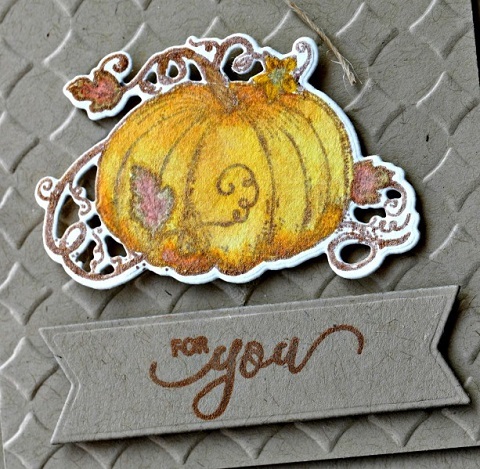 Deb stamped her pumpkin in the beautiful Celestial Copper metallic ink by Delicata and then watercolored the image with Tim Holtz Distress Oxide Inks. Our NEW Fishtail Sentiment Banners is just perfect for the sentiment. You can find Deb’s post on her blog here. 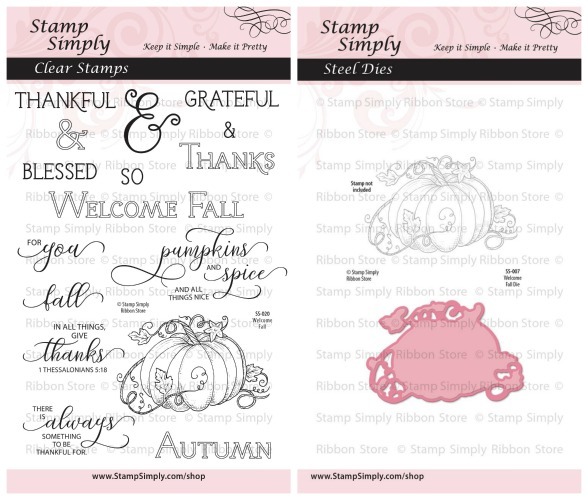 The stamp set and die set are both available individually or as a Combo with extra savings! 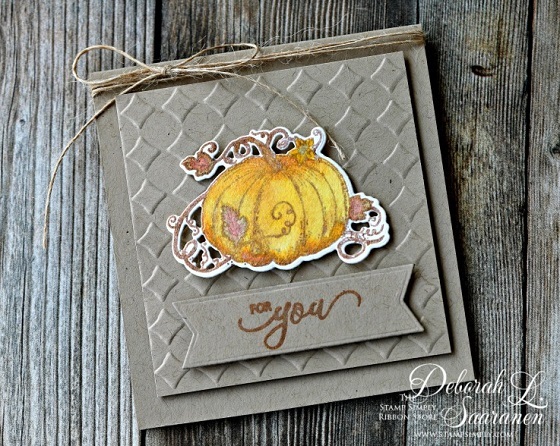 Find ALL of our Stamp Simply fall themed stamp and die sets here. 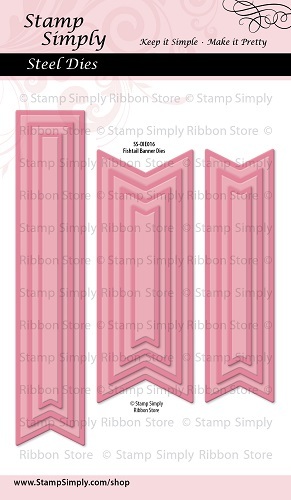 This wonderful variety of sentiment banners will, of course, work so well with sentiments from other manufacturers as well, the BIG PLUS being that a total of 10 dies are included, so you’ll be sure to find just the size you need! Find ALL Spellbinders embossing folders in stock here – always reduced! 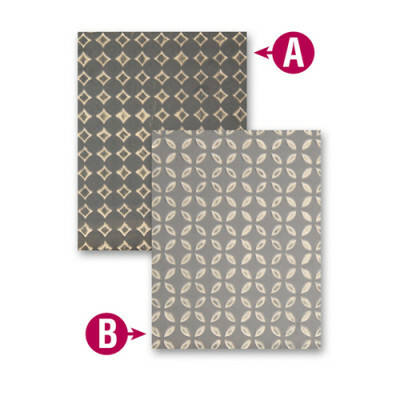 Find all Darice embossing folders here. 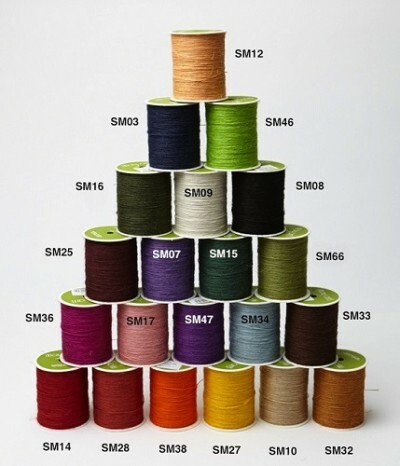 We have 21 colors in stock by the yard, full spool or a handy sampler package. 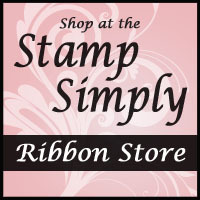 To see all the NEW paper pads in stock check out What’s New? TONS of pretty PRIMA products were added to our 40% OFF sale bin & SO MUCH MORE! View our current Newsletter here. Please join us again tomorrow for some more wonderful inspiration! We LOVE when you stop in!